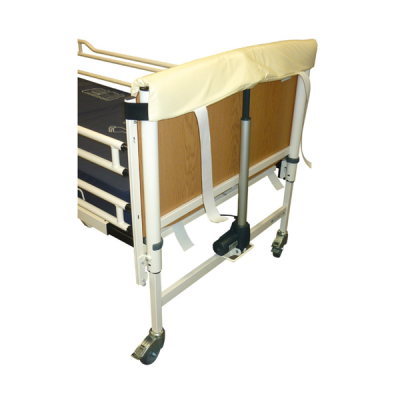 Wooden head and foot boards make a bed aesthetically pleasing and help it blend into a domestic environment, but some patients may be at risk of injuring themselves against the hard surface, especially if they are restless or thrash in the night. The Sidhil Solite Bed End Pads are designed to cushion the boards, protecting the user from injuring themselves by padding either end of the bed. When used in conjunction with the Sidhil Solite Safe-Side Mesh Side Rails, the pads offer all-round cushioning, keeping the user safe in bed. Wooden ends make a bed more aesthetically pleasing, but they are often hard enough to cause injury when a patient bumps against them. These Bed End Pads maintain the pleasing look of the bed ends, and provide protection to reduce injury risk. 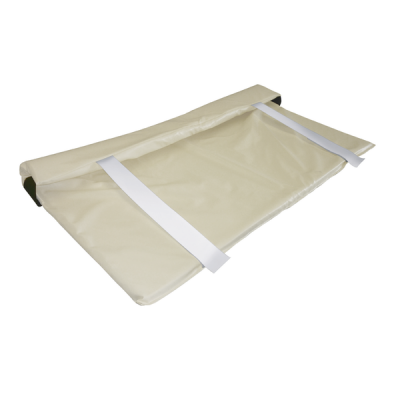 With a foam infill for more patient comfort and a vapour-permeable cover that can be easily wiped down, these Bed End Pads are a highly useful and easy-to-use accessory. Please be advised that the Sidhil Solite Bed End Pads is usually delivered within 1 week of your order being placed. We would advise you to consider this delivery estimation before placing your order. For more information, please contact our Customer Care Team at 020 7501 0592.